On Tuesday our letter for the day was B. We tried to write B's on cookies like we did here, but for some reason our icing did not cooperate this time. Because of this, we just decided to add some sprinkles and just fancy up our cookies, no writing necessary. After that we made a fun craft that we will use all month long, during our singing time. I don't have a picture, but it is so simple. I am sure you will be able to picture it once I explain it. We made bell jinglers. We took two different colored pipe cleaners and twisted them, so they had the candy cane effect. I then had each of my littles slip two bells onto their pipe cleaners. We closed the pipe cleaners up like a bracelet and voila! 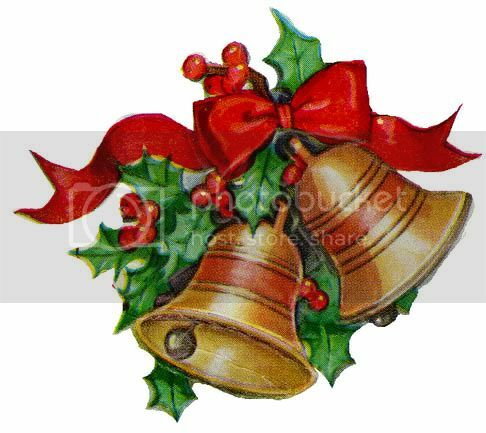 They had bell jinglers to shake, while singing our Christmas songs this month. Here are some of the songs we sang with our jinglers. Hear what they say to you. Such a simple song, but it has such a joyful message. I am also trying to teach my littles the first verse to "Hark the Herald Angels Sing". The first verse to "Joy to the World"
And "Away in a Manger"